A young woman resorts to prostitution to finance her hand-to-mouth existence. This film is unabashedly feminist, in a way which, for me, evokes great sympathy for the lead and her predicament. There are some powerful observations made about class, sexuality and power that stand out as the film proceeds in and out of moments of darkness and hopelessness. 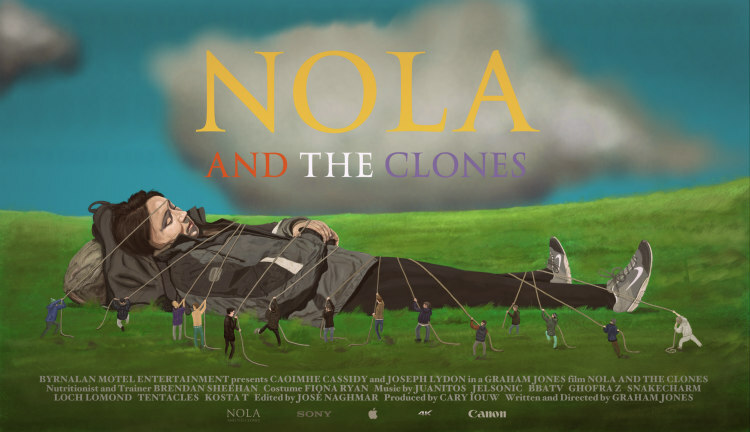 Nola and the Clones is a sharp, unpretentious indie film from writer/director Graham Jones (who has made his film available to view free of charge; see the video below). It is also a notable attempt to inspire a new movement in micro-budget film-making. More on that here. This is a film about the narcissism of young men and the window on their lives a young homeless woman is granted. The eponymous young woman, Nola, resorts to prostitution to finance her hand-to-mouth existence of hostels, netflix in web cafés and killing time in libraries. Despite the bleakness of the premise, the film doesn't aim straight for heavy pathos or brutal hopelessness. 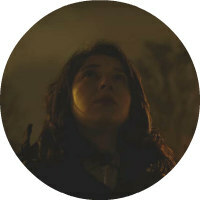 It's shot thoughtfully, on digital, with a sharp, unshowy realism, on location through Dublin city, and manages to commence with an unusual tone somewhere between the comic and the melancholic. I had the impression of the script and shooting having been very thoroughly thought out: the exchanges between characters are tightly written. The dialogue is spare and focused, almost theatrical, and I'm assuming the micro-budget forces the film to remain grounded in naturalism. There are flights of monologue from Nola that feel like moments another director might off set against allegorical visuals, or a tight 'soulful' close up of her face as she speaks. Graham Jones wisely opts for a less poetical approach. The lead performance from Caoimhe Cassidy anchors the entire film and she does a great work in front of the camera, in conjunction with Jones' decision to simply show her, in situ, for long stretches of time, often without dialogue or natural sound. Although Nola and the Clones is surprisingly tender and funny from the off, it doesn't at all shy away from the sadness of Nola's predicament, her isolation and the manner in which well-intentioned (or not) young men objectify and fetishise her. The characters are at times frank and profane in a way that any Dubliner will recognise. The conceit stated by the title is that the various johns who pursue and purchase Nola's favours are all played by the same actor, Joseph Lydon. He ably presents an array of smooth or not-so-smooth customers, each assured of their uniqueness and redemptive qualities, or embodying a harrowing self-centredness. Sometimes they listen to her however, always wearing the same face in differing guises, as she reveals her story and her inner life. This film is unabashedly feminist, in a way which, for me, evokes great sympathy for the lead and her predicament. Others may find this angle of the story too straight-from-the-newsfeed topical and unsubtly handled. Nonetheless, there are some powerful observations made about class, sexuality and power that stand out as the film proceeds in and out of moments of darkness and hopelessness. The focus on Nola's subjectivity tips the film close to episodes of magical realism. For some this edge-running might make things too on the nose but for me it played well. We all have those kind of charged memories from bad points in our lives. This is a compassionate, quietly angry film, from a film maker and two players worth watching for further work.